April 1, 2018 at 6:07p.m. 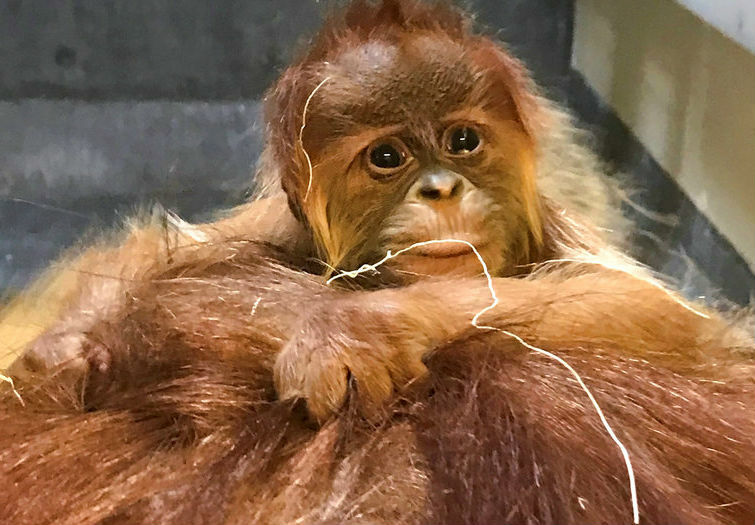 DENVER (AP) — The Denver Zoo is welcoming a baby Sumatran orangutan who is named after an Indonesian word that means "bright" and is often used to refer to sunshine. The female primate named Cerah (Che-rah) was born Sunday to parents Nias and Berani, and the family is bonding away from public view. Cerah should make her debut within the next two weeks in the Great Apes exhibit in Primate Panorama. She was conceived within a month of 29-year-old Nias and 25-year-old Berani getting set up in July. Zoo officials say Sumatran orangutans are critically endangered with a worldwide population of only about 14,600. Habitat loss is a major reason their population is declining. December 31, 2007 2 a.m.
May 24, 2016 8:41 a.m.